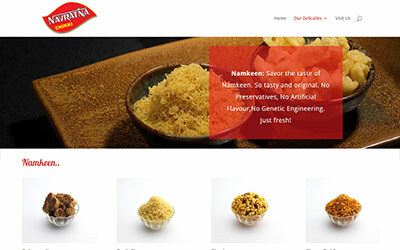 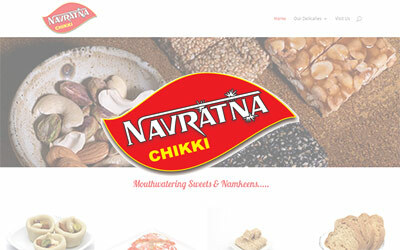 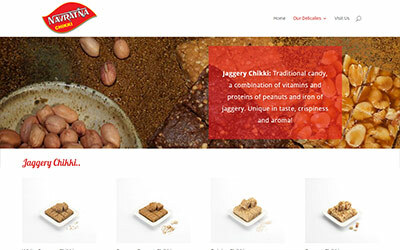 Navratna Chikki is designed to present mouth watering sweets & namkeen products. 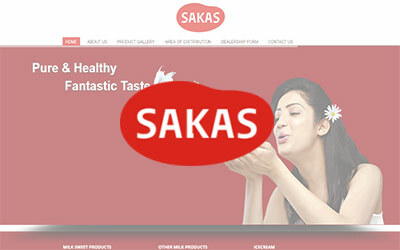 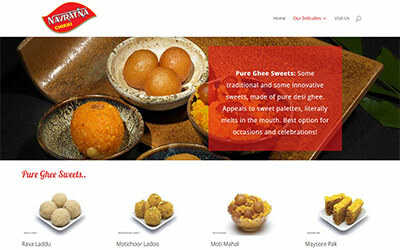 More than 200 delicacies of sweets and namkeens are presented using smart photo gallery. 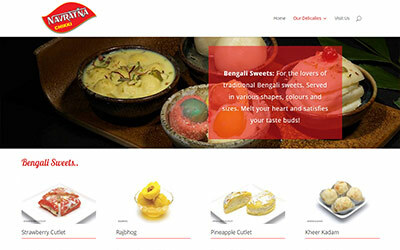 The full width slider presents theme photographs specially captured by food photography specialists. 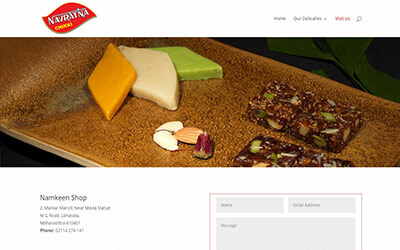 This site is a simple to navigate and pleasurable to browse.